Theresa May today refused to endorse her Health Secretary's call for a full review into the use of medical cannabis in the wake of the Billy Caldwell case. 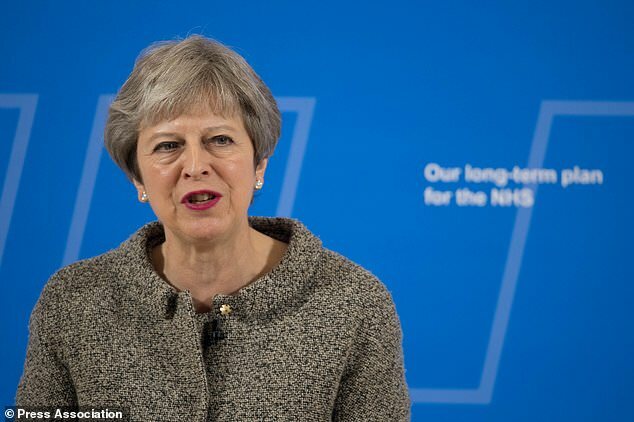 The Prime Minister insisted there was a 'good reason' for Britain's tough drug rules hours after Jeremy Hunt suggested a full review had been ordered by Home Secretary Sajid Javid. 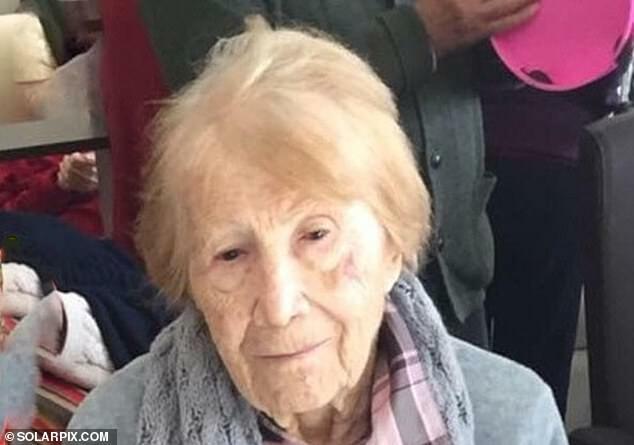 Mrs May said it was already possible to get one off licences for the medical use of cannabis in defiance of claims from Mr Hunt there was an urgent need to change the law. In a bid to bridge the divide, Home Office Minister Nick Hurd announced an expert medical panel was being appointed to advise ministers on individual cases involving cannabis. The Home Office insisted this was not a full review of the law, as has been demanded by Mr Hunt and Mr Javid. In other developments it has emerged Mr Javid tried and failed to raise the case of Billy Caldwell, a 12-year-old who takes cannabis oil to control epileptic seizures, in Cabinet today. 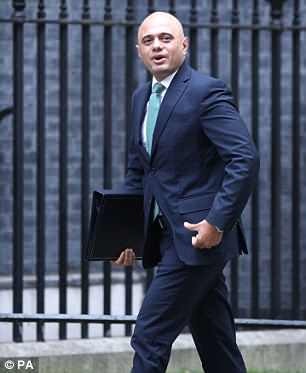 Cabinet sources played down the clash between Mrs May and Mr Javid, saying he had been relaxed about the way the PM handled the situation. There was said to have been a misunderstanding about whether the politicians were expecting the 'incredibly complex' issue to be debated at Cabinet today. Billy's mother Charlotte Caldwell, of Castlederg in County Tyrone, has called for an urgent meeting with Mr Javid and Mr Hunt to discuss the positive impact on her son's condition of cannabis oil, which is restricted in the UK but legal elsewhere in the world Answering an urgent question in the Commons, Mr Hurd told MPs recent had 'highlighted the need for the Government to explore the issue further and our handling of these issues further'. Mr Hurd said he had asked chief medical officer Dame Sally Davies to take forward work on the panel.Mrs May had appeared to play down the prospect earlier today. The PM said: 'Do we need to look at these cases and consider what we've got in place? Yes. 'But what needs to drive us in all these cases has to be what clinicians are saying about these issues. Mr Javid intervened over the weekend on the grounds of urgent medical need to grant a 20-day licence for Billy to be treated with cannabis oil, after he suffered seizures following the confiscation at Heathrow Airport of supplies brought by his mother from Canada. 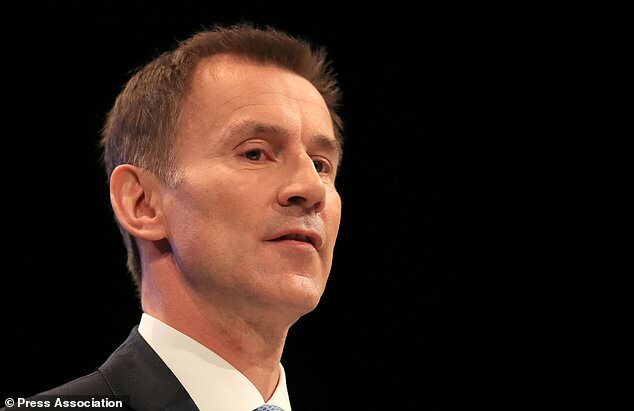 And earlier today, Mr Hunt told BBC Radio 4's Today programme that Mr Javid had acted 'extremely decisively' in the case, adding: 'What he has announced yesterday is that he is going to review the law around this as quickly as he can'. He added: 'It does take time, because we've got to not only look at the law, we've got to look at the clinical evidence and make sure there are no unintended consequences. But when the PM's official spokesman was asked at a regular Westminster media briefing whether a review of the law was under way, he replied: 'We have reviewed this individual case and a decision has been taken based on clinical advice. The spokesman added: 'In terms of the Health Secretary this morning, I think he said we have to look at the law and the clinical evidence. I think that's something that we are alive to. Billy's mother Charlotte Caldwell, of Castlederg in County Tyrone, has called for an urgent meeting with Mr Javid and Mr Hunt to discuss the positive impact on her son's condition of cannabis oil, which is restricted in the UK but legal elsewhere in the world. She credits the oil's active ingredient THC with keeping Billy's seizures at bay, saying he was seizure-free for more than 300 days while using it. After an 'absolutely horrendous' period of escalating seizures following the confiscation of his supplies at Heathrow, he was now eating again and less affected by his epilepsy, she said. Another Northern Irish mother of a child with epilepsy said her six-year-old daughter Sophia was at risk of death without the banned treatment. Danielle Davis, from Newtownards, told Today: 'Sophia definitely needs whole-plant medicinal cannabis with THC. If Sophia doesn't have this and her seizures continue, we could be visiting a headstone. Former deputy prime minister Sir Nick Clegg said that ministers' resistance to legalising medicinal cannabis was based on 'prejudice'. He said: 'It is pathetic – and I saw it for myself in Government – this bone-headed triumph of prejudice over evidence. The active substance in these cannabis-derived medicines is less harmful than stuff you can get across the counter from a chemist. 'When I was in Government, I certainly couldn't get Theresa May and the Home Office and indeed other parts of the Government to just address the evidence. Labour MP Andy McDonald, whose son Freddie died as a result of epilepsy, wrote to Mr Javid calling for a blanket exemption on the use of cannabis oil to alleviate epilepsy, along with measures to ensure supplies of the substance. Mr McDonald wrote: 'I am firmly of the view that when paediatricians and neurologists are struggling with intractable epilepsy cases, if in their considered medial view cannabis oil would be efficacious, then they should be permitted to administer it, safe in the knowledge that it is lawful to do so. Government advisers made it legal to buy cannabidiol (CBD) oil in 2016 after they admitted that it has a ‘restoring, correcting or modifying’ effect on humans. However, the oil's legal status has confused thousands across England and Wales, after the MHRA back-tracked on its position just weeks after. Manufacturers are able to avoid regulation by selling it as a food supplement - ignoring the lengthy process of gaining a medicinal licence. It comes in many forms, the most popular being an oil - which users spray under their tongue - or gel tablets which melt slowly in the mouth. 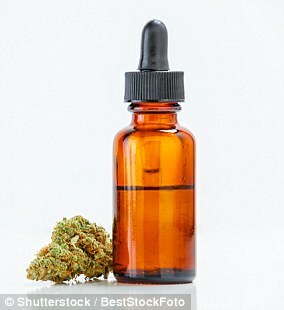 However, cannabis oil, which contains THC - the compound that gives users a 'high' - is illegal under UK laws. But Billy Caldwell, from Castlederg, Northern Ireland, made headlines last April when he became the first Briton to be prescribed it on the NHS.